A catch up from Estate Manager, Andrew Brimblecombe on Gidleigh Park's grounds & gardens and what they have to offer this summer. While spring has well and truly come and gone, it has left us with so much to still look forward to. All of our wild-flowers are a plethora of colour and abundance. Nature has really managed to pack a punch considering the wet winter, sub-zero temperatures and snow from earlier in the year. We now have glorious rhododendrons and azaleas to greet your eye upon arrival. Wandering along to our water garden, an impressive array of gunneras, acers and one of my particular favourites, epimediums all border the fast-flowing Teign river. This is not an area with an abundance of flowers at this time of year but the foliage is to die for. Probably the most productive area of the estate at this time of year is our vegetable and herb garden along with our greenhouse. Providing plenty of valuable produce to support your culinary experience, these ingredients travel from garden to plate within hours of picking. Many have witnessed members of our kitchen team harvesting herbs, fruit and vegetables under the expert guidance from my team. Nothing screams an English summer more than a good game of croquet on our manicured lawns. As any keen gardener will know, keeping a lawn looking fabulous is an impossible task when fighting the elements, be that too hot, too dry or too much water. Our 18-hole putting course is almost a full-time job on its own and I obviously couldn’t achieve any of this without a great team behind me. Why not come and see for yourself? We offer Garden Tour lunches throughout the year and myself and the team are always happy to talk about our magnificent grounds and estate. See the latest events at Gidleigh Park. We are but a small part of your overall Gidleigh experience but we work closely with the excellent team in the hotel. As another season quickly approaches, so do new challenges and achievements that keep us on our toes around the estate. Find out more about the gardens at Gidleigh Park. As Head Chef at Restaurant Nathan Outlaw for seven years, which has held two Michelin stars since 2011, Chris enjoys a reputation for outstanding cooking with the very best of local ingredients. Chris focuses his dishes on the best seasonal ingredients combined with a deep-rooted classical cooking style and a modern interpretation. He enjoys experimenting with ingredients, exploring how to bring out the best in them and building flavour combinations, and one ingredient can be the inspiration for an entire dish. Chris's à la carte and tasting menus are carefully crafted without pretension, and his food is defined by the absolute freshness and seasonality of ingredients alongside true clarity of flavour. "It’s a privilege to have been offered the opportunity to take up the reins at Gidleigh Park, somewhere I’ve admired since I very first started cooking. I’m delighted to be staying in the south west, to be able to continue to work with all the great local produce and suppliers in our region." View Chris Simpson's menus at Gidleigh Park. Gidleigh Park is celebrating following news it has become the first restaurant to ever be awarded the AA’s top hospitality award of five AA Rosettes in its half-year January announcements. The AA has been awarding Rosettes to restaurants since 1956, with the top award of five rosettes being introduced in 1991. Awarded bi-annually in January and September, previously the top accolade of five AA rosettes has only ever been issued with the main awards in September, but feedback from the inspectors confirmed an exception for Gidleigh Park, the first in the guidebook's 61-year history. Awarded to the restaurant at Gidleigh Park and to its chef Michael Wignall, the criteria for five AA Rosettes is “The supreme accolade awarded only when the cooking is at the pinnacle of achievement. 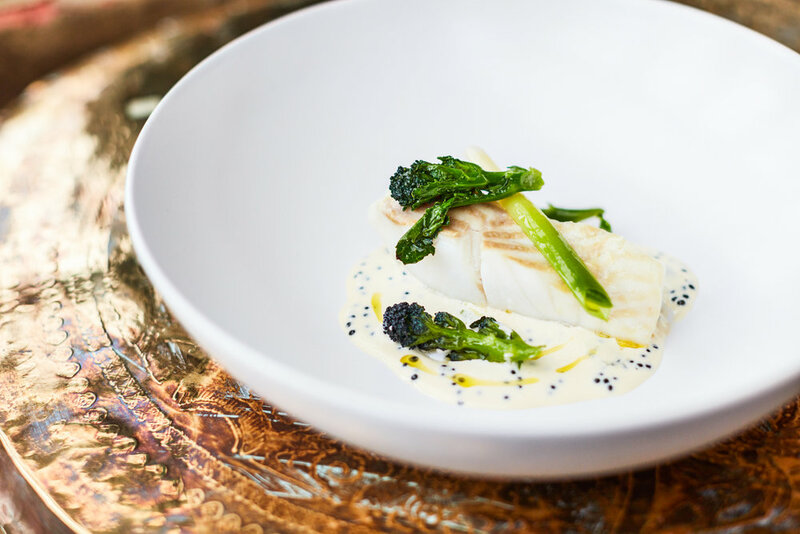 Flavour combinations and textures show a faultless sense of balance, giving each dish an extra dimension”. "This is great news to start 2017 and richly deserved by the brilliant team here at Gidleigh Park. We’re delighted that the inspectors enjoyed their visits to the restaurant and are honoured that they have made an exception to give us this award now. We look forward to welcoming both new and returning guests throughout 2017 and beyond." View Michael Wignall's menus at Gidleigh Park. You have successfully subscribed to the Brownsword Hotels newsletter mailing list.